Germany and Norway officially joined the European/NATO program to acquire Airbus A330 Multi-Role Tanker Transport (MRTT) aircraft along with Netherlands and Luxembourg. The two nations committed to participating in the project through the recent signing of a Memorandum of Understanding (MoU) at NATO headquarters. Known as the Multinational Multi-Role Tanker Transport Fleet (MMF), the program was initiated by the European Defence Agency (EDA) in 2012, according to Airbus. The program is funded by the four nations who will have the exclusive right to use these NATO–owned aircraft, which will operate in a pooling arrangement, the firm noted in a news release. The aircraft will be configured for in-flight refuelling, transporting passengers and cargo, and medical evacuation flights. The first two aircraft have already been ordered. 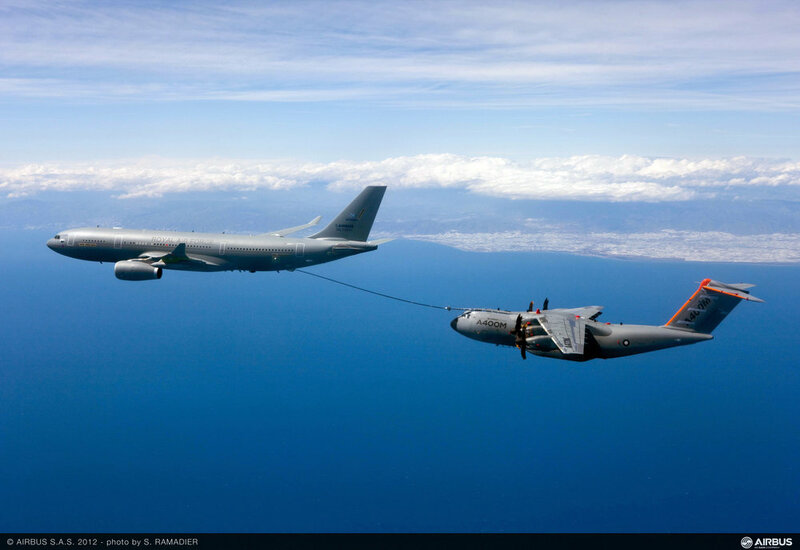 They will be delivered in 2020 from Airbus Defence and Space’s tanker conversion line at Getafe, near Madrid. Five additional aircraft will now be ordered, and that order will include options for up to four further aircraft, Airbus added. The U.S. and Canada are negotiating an agreement for the continued provision of maintenance and support services for the Royal Canadian Air Force’s C-17 fleet. That deal will be worth around $195-million U.S. Boeing, which built the C-17 transport aircraft, currently helps maintain those planes for the RCAF. That agreement expires on September 20, according to Public Services and Procurement Canada. Canada purchases C-17 maintenance and support from the U.S. government through the Foreign Military Sale system. According to the U.S. government, the work will be done at Boeing’s facilities at Long Beach, Calif., and in St. Louis, Missouri. Lockheed Martin will also be involved. In addition, the U.S. government noted that there are currently 13 employees from Boeing now in Canada who provide C-17 technical support on a regular basis. Rheinmetall MAN Military Vehicles has entered a framework agreement with the Bundeswehr to supply over 2,200 state-of-the-art trucks. In embarking on this project, Rheinmetall says it will play a leading role in modernizing the German military’s fleet of thousands of logistic vehicles. The agreement is structured to run seven years and the framework contract covers a total of 2,271 HX2 family vehicles. Delivery of the first lot will take place during the 2018–2021 time frame, according to Rheinmetall. Naval Group (formerly DCNS) reports that it has successfully achieved a European first: the coordinated deployment of three types of drones: underwater, airborne and surface. The deployment was made possible because of the DCNS I4 drones mission system. 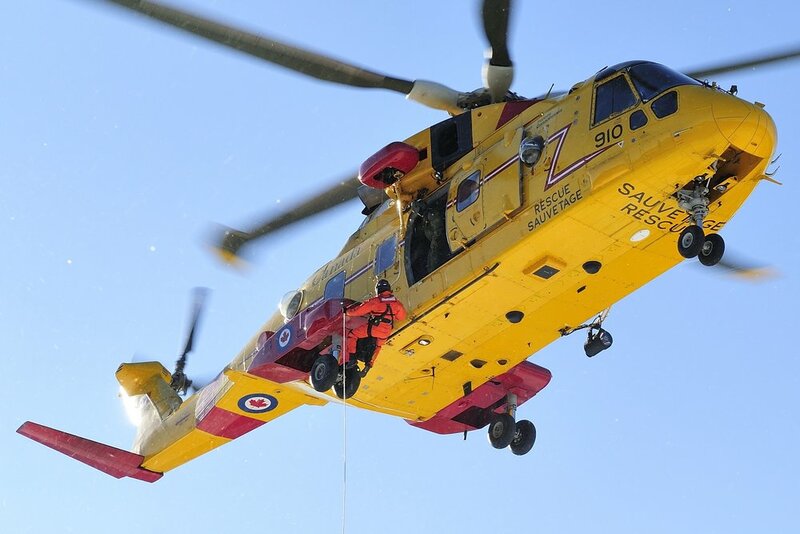 The RCAF’s fleet of 14 Cormorant search and rescue helicopters will undergo a modernization program, headed by Leonardo Helicopters and IMP Aerospace. During the June demonstration, it was possible to detect a suspect vessel, which was identified and neutralized in less than 20 minutes, according to Naval Group. The D19, an underwater drone, for the detection phase. The IT180 UAV, a rotary-wing drone, for the identification phase. REMORINA, a naval drone, for the final step of interception and neutralization. Kraken Sonar Systems Inc. has signed a teaming agreement with ATLAS ELEKTRONIK GmbH. The objective of the agreement is to combine the expertise and technology of both companies to provide the Royal Canadian Navy with the optimal solution for its Remote Mine Disposal System (RMDS). In addition to the RMDS program, Kraken has teamed with ATLAS to provide military-grade KATFISH towed sonar systems to a leading Asian navy as part of a major mine-countermeasures procurement program, the firm added in a news release. ATLAS and Kraken officials say they are looking forward to jointly pursuing further opportunities for both the Canadian and global naval defence market. Carleton University conferred an honorary Doctor of Engineering on Lockheed Martin Canada’s Rosemary Chapdelaine in recognition of her career as an award-winning mechanical engineer and talented international administrative leader. Chapdelaine began her career as a mechanical engineer at IBM’s Federal Systems Division. She currently serves as vice-president and general manager of Lockheed Martin Canada, where she leads a team of 600 employees working across the country. Her program portfolio is valued at over $1.5-billion and her customer base extends around the world, from Canada and the United States to the United Kingdom, New Zealand and Chile, according to Lockheed Martin Canada. MBDA has developed what is calls NCES (Network-Centric Engagement Solutions). This new network-centric, ground-based air defence architecture is based on the latest real-time data exchange protocols, the firm noted in a news release. The NCES architecture is suitable for a wide number of organizations, ranging from mobile batteries up to territorial defence systems. It can also easily integrate existing ground-based air defence systems, by means of a gateway converting the data normally exchanged by the battery with the ground-to-air defence tiers above or below it, MBDA pointed out. Saab’s Gripen E, the next generation of that fighter jet, made its first flight on June 15. That is a major development for the plane. Deliveries are set for 2019. Sweden and Brazil have purchased the Gripen E. Sixty E models will be acquired by Sweden’s air force, while Brazil is buying 36 jets, including eight of the twin-seat F versions. Leonardo Helicopters and IMP Aerospace & Defence have added more Canadian industrial partners to its team that plans to pursue the contract to modernize the RCAF’s fleet of Cormorant search and rescue helicopters. CAE, GE Canada and Rockwell Collins in Canada have joined the team. Other key Canadian companies will also be announced in the near future.